A new report that found the level of mathematics among French students today to be “catastrophic” has recommended 21 possible solutions, including the so-called “Singapore method”. The report was published this week by Cédric Villani, the government’s deputé-mathématicien now in charge of representing mathematics teaching; Charles Torossian, the general inspector of national education; and Jean-Michel Blanquer, national education minister. L'excellence mathématique de la France doit bénéficier à tous ses élèves. Très heureux de présenter aujourd'hui le rapport @VillaniCedric @CTorossian_Off base de notre stratégie future. It lists 21 measures that could improve the “catastrophic” level of mathematical ability among French students, with one of the most notable proposals including a reference to the “Singapore method”. This method - which not only changes the way that students are taught from an early age, but also requires maths teachers themselves to be taught better in the first place - is named after the Asian city-state thanks to the latter’s incredible improvement in mathematics ability over the past two decades. In the 1990s, the Asian state languished at the bottom of international tables when it came to its students’ mathematical ability. Now, Singaporean students regularly top the charts as having some of the highest ability levels in the world. The sharp improvement in ability came about after the country won independence in 1965, and in the 1980s began “making mathematics teaching a national priority,” explained Monica Neagoy, teacher and PhD in didactic mathematics, who has been enlisted by the government to help make recommendations for the improvement of French maths education, and who was speaking as an expert to news source 20 Minutes. “They looked at the existing studies, analysed the factors, and constructed a coherent programme, which they began to teach in the mid-1980s,” Neagoy added. This method sees young children taught mathematics from a very early age, and since primary school, they are encouraged to touch, measure, use their hands, and engage in maths in an active way. Drawings and words and speaking aloud are then brought in, followed only later by formulas, numbers, and signs. Some French establishments have already adopted the method, but this new report recommends that it is used nationally as standard. 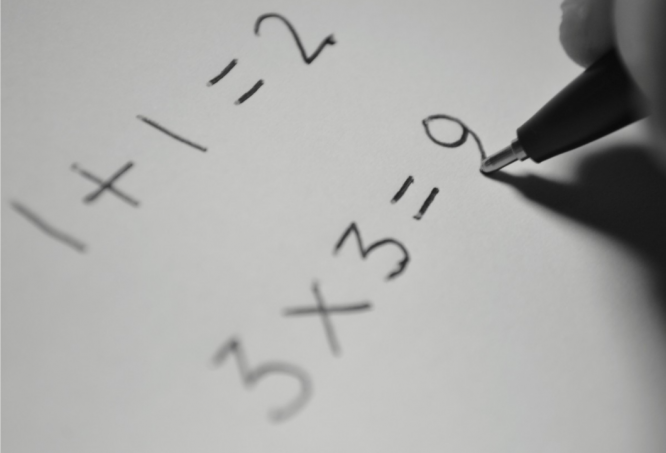 Maths teaching in this way will require each school to have a basic set of equipment, the report added, and would also mean that more maths teachers need to be trained, or re-trained, to enable them to teach in this way. “France has the human resources, and intellectual ability, to be ‘number one’ in mathematics, but there are not enough teachers who are properly trained to do this,” said Neagoy, remarking that in Singapore, maths teachers receive 400 hours of training, compared to just the 80 on average received by teachers in France.